Everyone loves a fairytale ending. Maybe you will get yours today. Join Snow White and the Seven Dwarfs on an unforgettable adventure. You will be helping the dwarfs dig for treasure underground in this 5 reel, 20 payline slot. 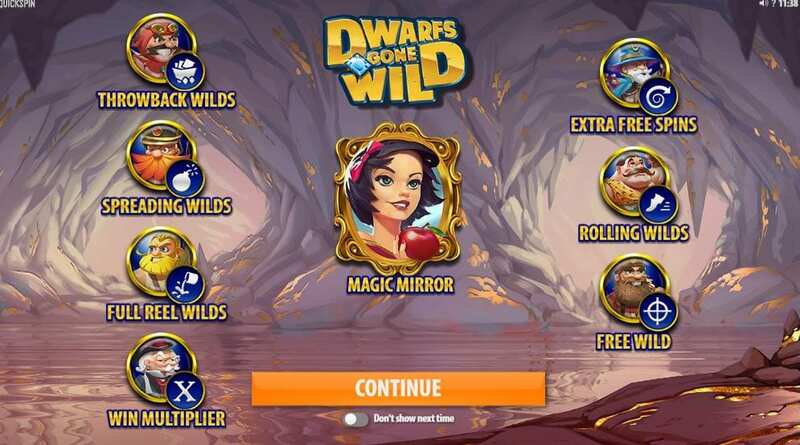 Dwarfs Gone Wild is a thrilling fairytale slot which is based on the classic story of Snow White and the Seven Dwarfs. Each dwarf has their own special superpower which helps you create winning combinations in this slot. There are bonus features, free spins, and a magic mirror feature. The magic mirror is one of the key features in this slot and rewards 300 additional symbols - how magical! Search more about Wizard and feel right at home! You can play them now on Wizard. 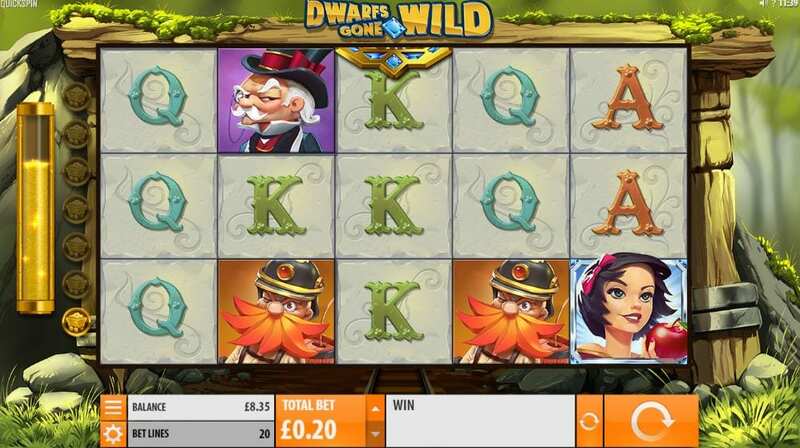 Dwarfs Gone Wild is a 5 reel, 20 payline slot that is based on the well-loved fairytale Snow White and the Seven Dwarfs. You'll be whistling while you work as you help the seven dwarfs find riches underground. The slot features stunning 3D graphics and a folksy soundtrack. The reels are placed in front of the gold mine which is hidden in the enchanted forest. The symbols feature all seven dashing dwarfs, each of which has their own special powers and abilities. You'll also find the beautiful Snow White who is the highest paying symbol in this slot, a sparkling diamond and a magic mirror. The Wild Symbol - The wild symbol is the Dwarfs Gone Wild logo. Landing one of these can award you with 2, 15 or 60x your stake. The wild substitutes all other symbols apart from the scatter. Magic Mirror Feature - Landing a magic mirror anywhere on the middle reel will unlock the magic mirror feature. Once unlocked, 300 extra snow white symbols will be added to the reels and you will be rewarded with 2 respins. Free Spins Bonus Feature - Landing diamond bonus scatters on the middle 3 reels will activate the free spins bonus feature. Once activated you will be given 7 free spins. The golden minecarts are important in this feature as they will help you to unlock special dwarf features. These include a rolling reels feature, spreading wilds feature, throwback wilds feature, full reel wilds feature, free wilds feature, extra free spins features and a win multiplier feature. These extra games provide plenty of opportunities to create some fantastic wins.